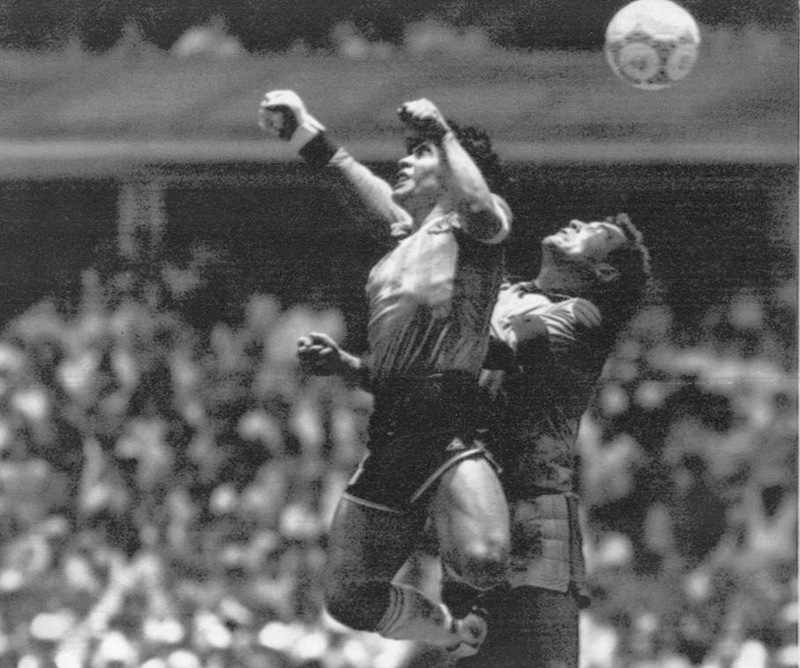 On June 22 in World Cup history: Diego Maradona's "Hand of God" helps Argentina beat England in Mexico City in 1986. Emotions at the World Cup have rarely been so conflicted as they were on this day in Azteca Stadium. In their first match since the Falklands War, Argentina and England met in a quarterfinal. This was the day of the "Hand of God," when Maradona, one of the most gifted footballers of all time, used his left fist to knock in a ball past England goalkeeper Peter Shilton. It's arguably the most infamous goal in World Cup history. Later in the game, Maradona scored one of the best. Picking up the ball around the halfway line, he toyed with the English and through a myriad of dribbles, feints and sheer body strength scored what many consider the greatest individual goal of all time. Despite a late fightback from England, Argentina held on to win 2-1 to make the semifinals and went on to win the tournament.